We got up and had coffee in our room before heading down to the pool for a while. After an hour or so in the pool we got sorted and headed for lunch at whispering canyon cafe at wilderness lodge. DH and I had pomegranate lemonade and DD had a coke. 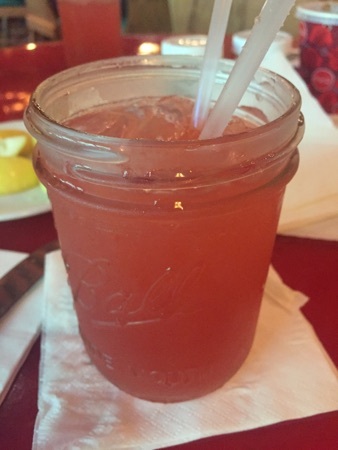 This pomegranate lemonade makes a nice change from Coke. DH and I both went for the all you can eat skillet. 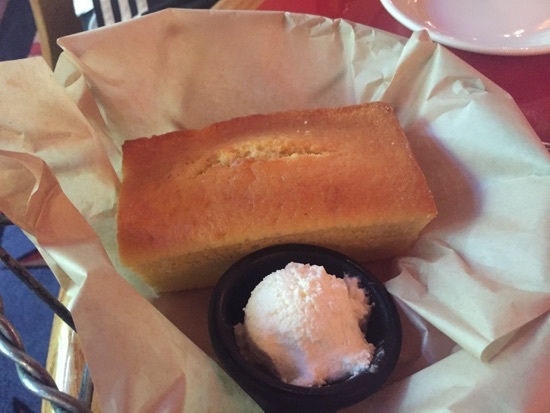 It came with a serving or cornbread and salted whipped butter. This is absolutely delicious! It tasted like sponge cake but with a courser texture, really good! 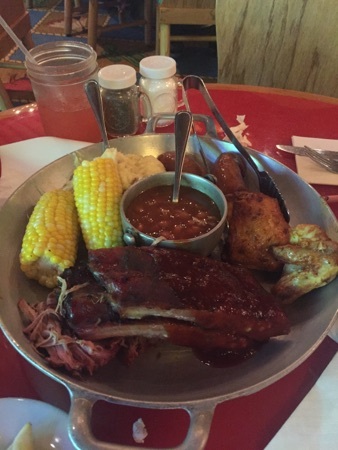 The skillet had pulled pork, ribs, chicken, sausage, beans, mashed potato and corn on the cob. The ribs were quite chewy but the rest was really good. 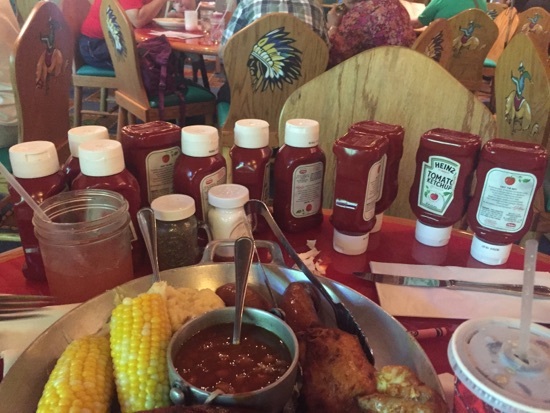 We got more corn on the cob as we really enjoyed that. 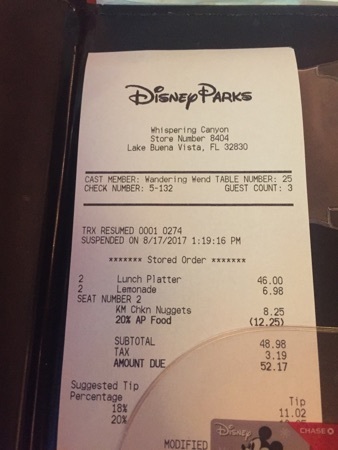 We used DH's annual pass for 20% discount here and so our total came to $52.17. It's the same skillet you get at dinner time but it's cheaper at lunch so with the discount it was foot value for a Disney table service meal. 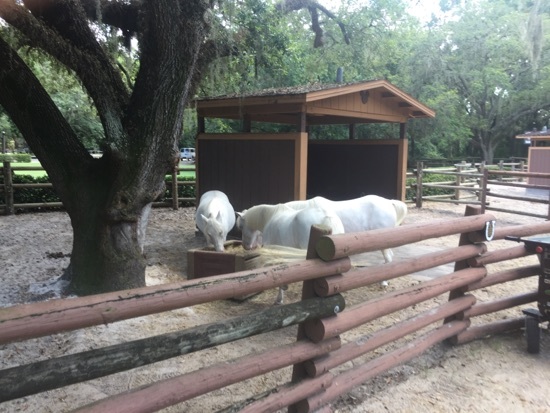 After lunch we headed over to fort wilderness and DD did the pony ride. This is $8 and you lead them round a set track following arrows sat on a pony, this was great. It only lasts 5 minutes but DD absolutely loved it! It's a fantastic activity for young children. 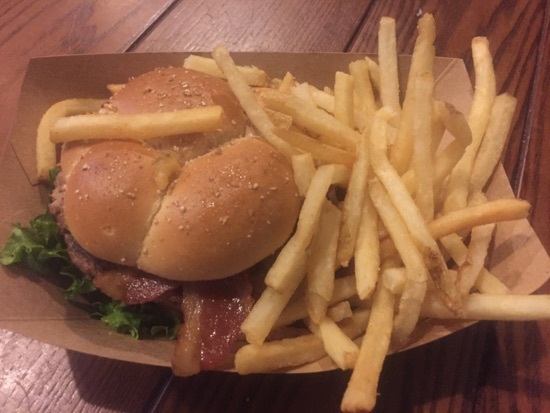 We then drove over to Hollywood studios for the rest of the afternoon, we had dinner at the backlot express. This is the first time in 11 trips I have ever eaten here. We got 2 1/3lb angus bacon burgers, and 2 soft drinks to share between the 3 of us. The burgers were good, we realised we hadn't had a plain old Disney burger yet this holiday so that's what we were on the look out for. 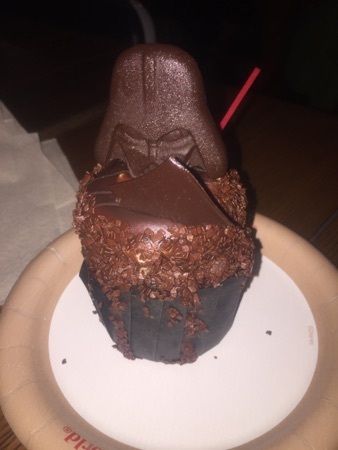 We also got a Darth Vader cupcake to share between us. This was a chocolate peanut butter cupcake and was chocolate cake topped with peanut butter cream and covered in chocolate ganache and sprinkles. It was delicious! DH said it was the best cupcake he's had! 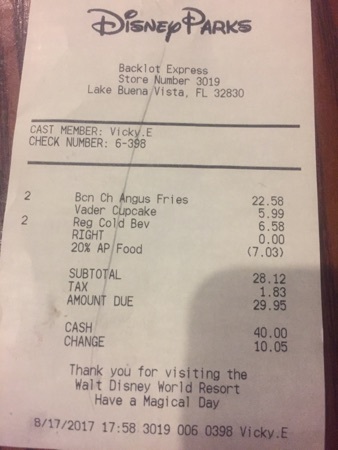 Backlot express also does 20% annual pass discount so our total came to $29.95. 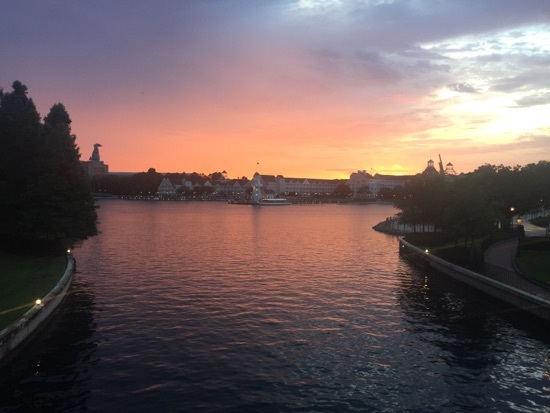 We left Hollywood studios and got the boat to the boardwalk, we had a lovely walk around the lake and the sunset was stunning this evening. After a lap of the lake we called in at ample hills creamery. This is one of my favourite places at Disney. DD was having a nap in her pram so DH and I shared a ooey gooey butter cake sundae. We chose chocolate milk and cookies & chocolate ice cream with caramel sauce which was topped with whipped cream. 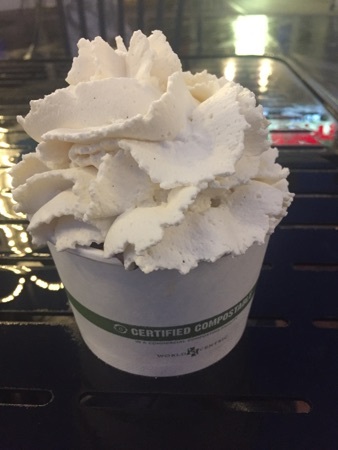 Unfortunately with the whipped cream it doesn't make for the best photo! 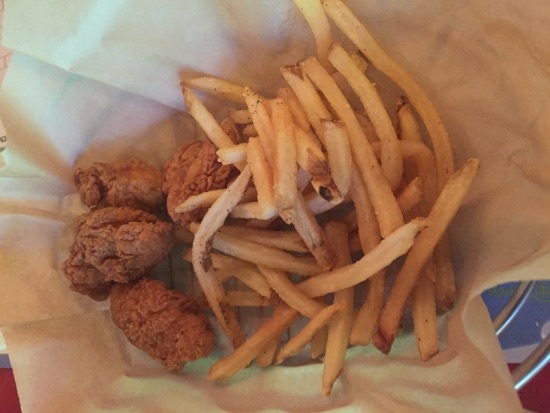 This cost $8.49 but it was more than enough to share between two. I love the ooey gooey butter cake, it's so rich and chewy! I always describe it was a cross between shortbread and blondie. I need to find a recipe for it! We had a game of mini golf at fantastic gardens, the game is included with the 14 day ultimate tickets but DH had to pay as it's not included with an annual pass, he did get 15% discount off regular price and it cost him $12. 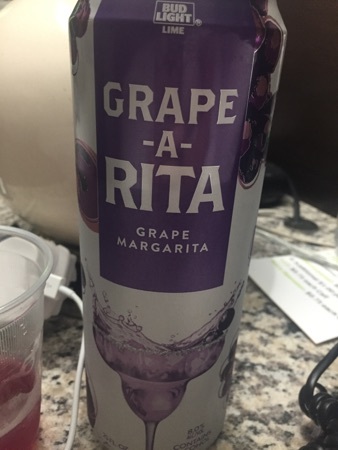 When we were done we returned to the hotel and tonight's drink of choice was a grape-a-Rita. This is actually really nice, probably my favourite of the a-Rita range I've tried. New Photo Added by missdopey - 18 Aug 17 4:29 AM. I must get some a-Rita cans when we're there - they sound lovely. The skillet looks like a whole lot of tasty food.